Dressed in period costumes, we celebrated 100 Years in “style”! Congregational Churches are a direct descendent of the church established by the Pilgrims at Plymouth in 1620. 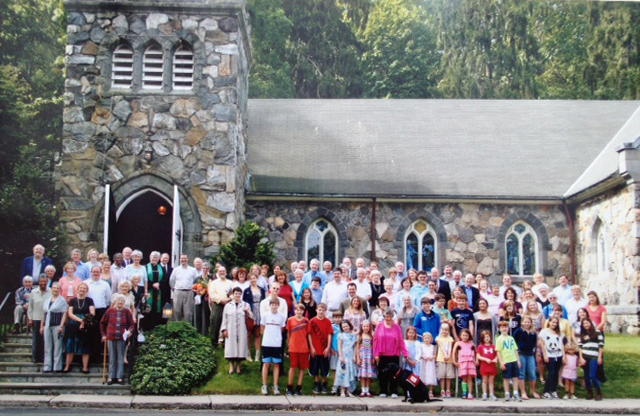 Since the time of the Pilgrims, Congregational churches became increasingly progressive. For example, we were early supporters of the abolitionist movement during the nineteenth century. We were also the first church to ordain African-Americans, women and those who are gay, lesbian, bisexual or transgender. The Briarcliff Congregational Church was founded in 1896 by Walter Law, the founder of the Village of Briarcliff Manor. The church was founded as a community church, in the hub of the village, whose members came from a variety of denominational backgrounds. True to our heritage, today our church has members from all denominational backgrounds as well as many interfaith couples. Our worship space, the sanctuary, was built in 1896. The church was extended and updated several times during the course of the church’s 120 year history. Our sanctuary is renowned for its beautiful stained glass windows, including seven by Tiffany Studios. 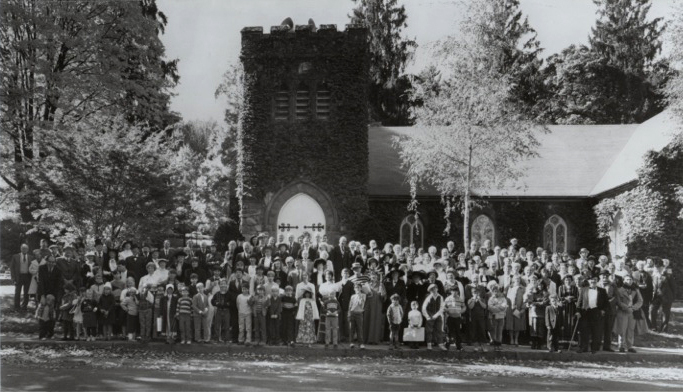 In 1957, The Briarcliff Congregational Church became a member of the United Church of Christ, which is a Protestant denomination where churches covenant to work together to further God’s work in our world. The United Church of Christ came into being when there was a merger of Congregational Churches and those of the Evangelical and Reformed tradition. The 1950’s also saw construction of our Parish House across the street where we host Sunday school, coffee after the worship service and many fun fellowship events.